We believe global competence and cultural adaptability is a must for Christian thought leaders to succeed internationally and in a variety of national, ethnic, and organizational cultures. The CGE provides Christian scholars the opportunity to serve in a variety of international contexts—from Christian schools to nonprofit organizations—in order to support the work they are doing in the communities they serve. The CGE also offers curricular and professional development opportunities for faculty at partner institutions. The CGE scholars work to promote Christian education in “glocal” contexts, effective practices for Christian organizations in international contexts and ideas and innovations that promote change for the common good. Participants in the CGE’s workshop for instructors of English Language Learners (ELLs) learn and share best practices for reaching international students and ELLs in the classroom. CQ workshops and training sessions are an opportunity for all participants to reflect on their self-assessed levels of cultural intelligence. Participants learn how to increase their CQ drive, knowledge, strategy and action to more effectively work amongst God’s diverse world. 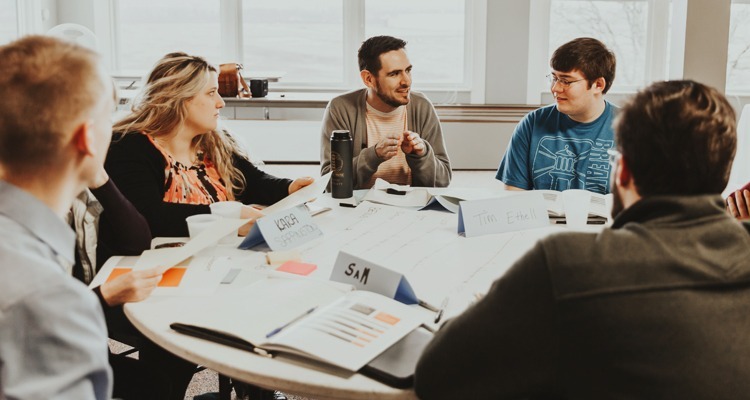 The CGE’s Global Scholars Program connects Christian professionals to meaningful opportunities that will allow them to share their knowledge and experience in an international setting. Opportunities range from one week to one semester in length and consist of dual-degree undergraduate course instruction, professional development seminars, graduate courses and short-term faculty assignments. Global Scholar appointments will be based on the individual’s professional background, training and experience. The CGE deputizes Global Scholars to support strategic global partnerships. By invitation only. Jay Mathisen, Ed.D. (George Fox University) serves as Deputy Superintendent of the Bend-La Pine schools. Leading school leaders and launching innovative efforts in school design are key areas in which he serves. As Global Scholar in the Center for Global Engagement, Mathisen supports Corban University’s dual degree partnerships and leads professional development seminars for in-country teacher educators and administrators. Mathisen has experience leading teams each year to East Africa to support and mentor teachers and administrators in Rwandan schools. Global Perspectives, the blog of the CGE, shares best practices on issues in Christian higher education abroad.